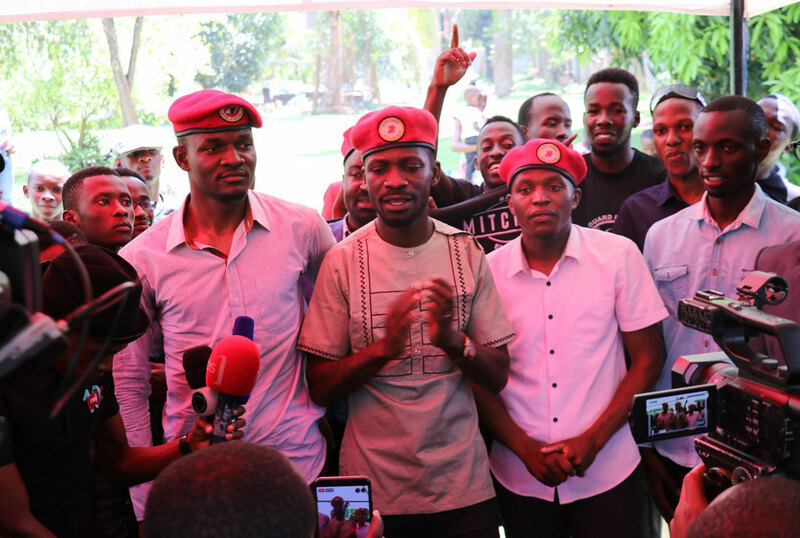 Singer turned opposition politician Bobi Wine real names Mr Robert Kyagulanyi on Saturday hosted the newly elected Makerere University guild President Mr Julius Katerega and his team at his home in Magere. Mr Katerega who stood for guild president at Makerere University under ‘People Power’ in an election that was conducted on Friday, won the race with 3,922 votes beating other 10 candidates in the race. This was just days after the Kyambogo University guild president race was also won by ‘People Power’ leaning candidate. 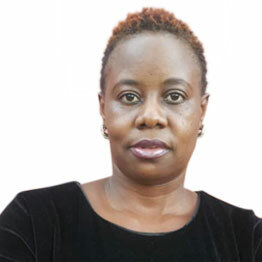 While at his home in Magere, the Kyadondo East MP told Mr Kateregga to be conscious with the current government because it is targeting young leaders like him. 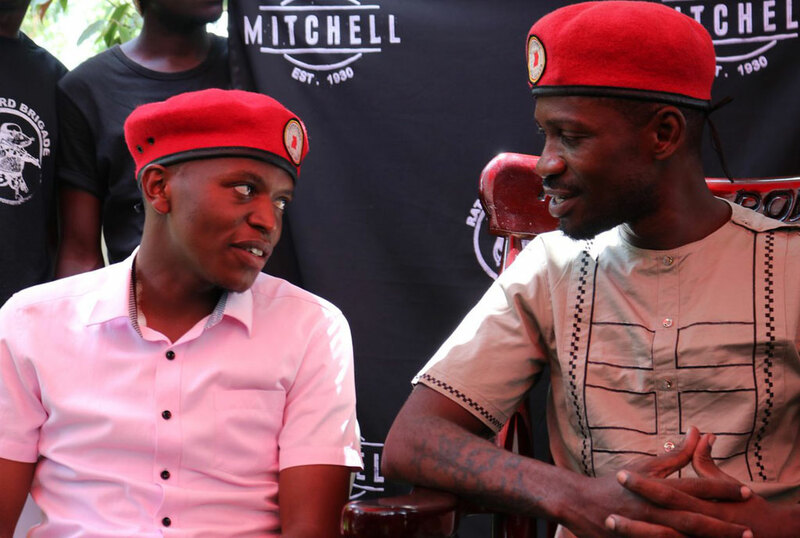 “Our government is looking at young people like you, they will want to give you money to divert your mindset and when you refuse the money, they will beat the hell out of you,” Mr Kyagulanyi said. 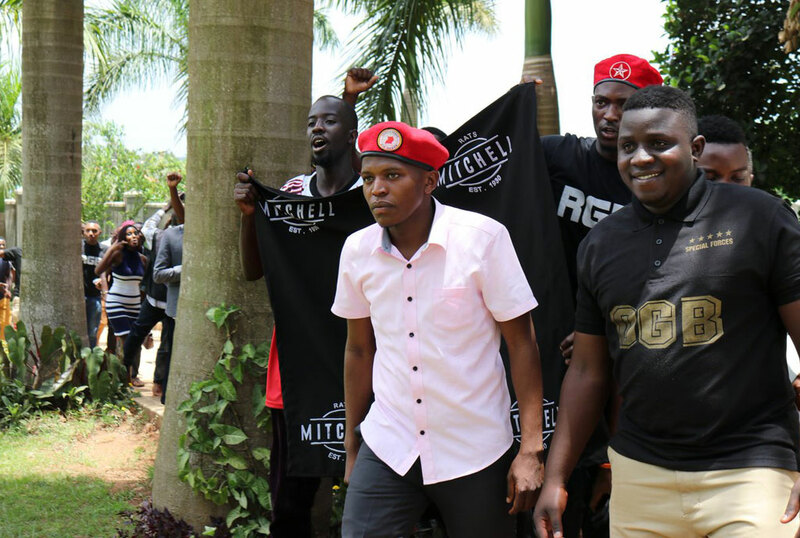 Mr Katerega donning a red beret led a big number of students who walked into the singer’s home to show their support to his ‘People Power’ movement. They were chanting ‘Tuliyambala Engule’, a revolutionary song that Bobi Wine released recently.